When I was interviewing industry-connected folks for Portland Beer a few years back, one of the things I heard repeatedly was that provincialism was a big reason craft beer caught on here. Portlanders have been historically inclined to support products made here. It's clear to me that our old school provincialism is waning. I'll get to why shortly. First, its roots. Provincialism, I believe, is rooted largely in Portland's blue collar past. The city was a hub for the extraction economy from its early days through much of the 20th century. Commerce moving up and down the Columbia and Willamette Rivers made Portland the largest and most important city in the Northwest through the late 19th century. The arrival of the railroads transformed Seattle, with its superior port, to the center of trade in the Northwest. It's possible that being pushed into obscurity by rapidly expanding Seattle gave blue collar Portlanders a go-it-alone, do-it-yourself attitude. Residents became suspicious of products from the outside and developed rigid preferences for local goods. Those were the embedded attitudes Portland's founding craft brewers tapped into when they were starting out in the 1980s. They'd take their products out to bars and taverns; patrons, who weren't necessarily unhappy with the macro swill they were drinking, would gladly try it. Because it was local. The willingness to try local beer wasn't necessarily unique to Portland, but it was apparently embraced more strongly here than in other places. Provincial attitudes were crucial to putting Portland on the craft beer map, where it remains at or near the top today. When I arrived here in 1989, the city was still in the throes of a grubby provincialism. Most of what is now the Pearl District was home to abandoned or broken down warehouses. Streets were virtually impassable, unless you were driving a Jeep. That theme was prevalent around the city. Over the course of the last 10 or 15 years, things have shifted dramatically. The influx of newcomers has transformed large swaths of the city. The busted up or abandoned warehouse is now an endangered species, thanks to the demand for housing and retail space. The strong provincialism of yesteryear is being displaced by something different. One might argue that was inevitable due to the migration here from around the country. With so many newcomers, attitudes were going to shift. No way around it. If you aren't aware, the majority of our migrants come from California. Yup. It's right next door, it's an expensive place to live and they've had some significant issues in recent years. People are giving up on California and coming to Oregon, Portland being the most popular destination.. 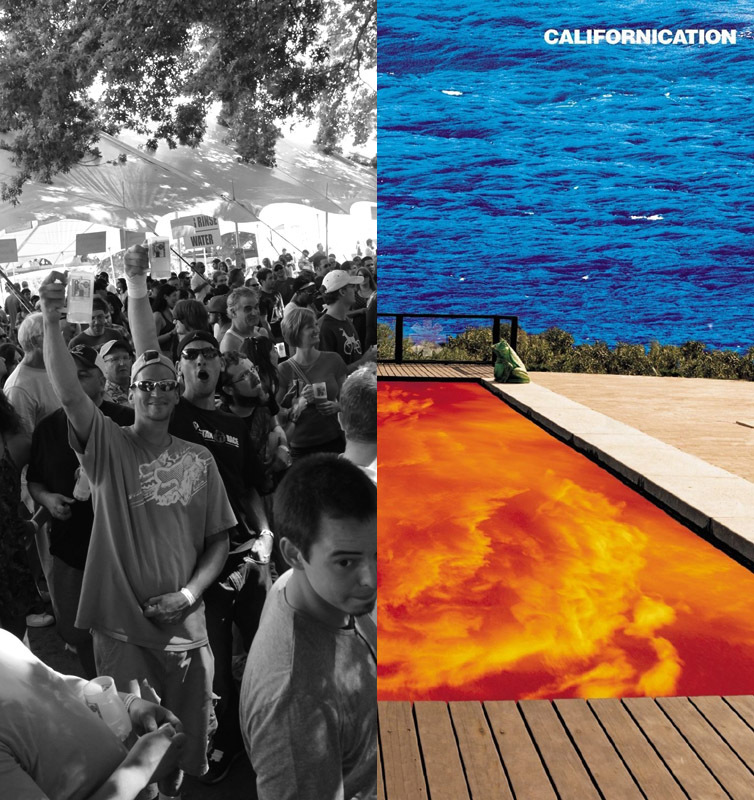 The result is a sort of Californication of our city. Old Portland is being demolished and replaced by trendy new buildings and businesses straight out of the Bay Area and southern California playbook. And there are no signs of it slowing down. In the beer world, the strong preference for local product is diminishing. On my travels, I routinely see beer from all over the country being warmly welcomed. California breweries, and there are a lot of them, make some great beer. A number of them are doing well here. An instructive allegory for Portland's transition may well be what happened to The Commons. Locally-owned and well-supported in its initial, quaint location, The Commons moved to a larger space and failed to attract expected crowds. Cash flow problems cropped up. The brewery crashed. Enter San Diego-based Modern Times, which leased the space and now plays to a packed house regularly. The pub is gaudy, just what you expect to find in California. But it's wildly popular. Inoculated by a flood of Californians, Portland is losing touch with its provincial past. Whether that's a good or bad thing is, I suppose, a matter of opinion. But it is the reality.